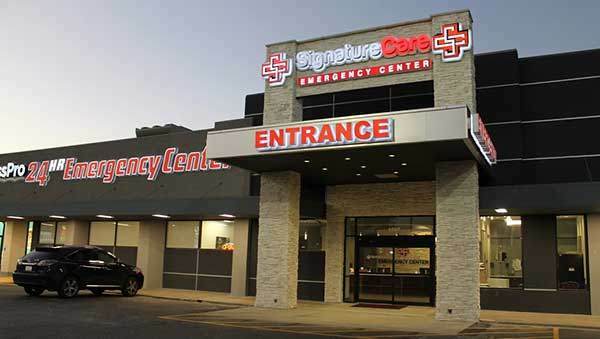 SignatureCare Emergency Center gives you peace of mind when you have a medical emergency. Our emergency rooms are located in local neighborhood communities. We are open 24/7 for emergency room needs. Our emergency rooms and board- certified doctors treats adults and children. We have ambulance service available if you cannot drive. Call one of our emergency rooms for more information. What Is the Billing Process at SignatureCare Emergency Center? SignatureCare Emergency Center has a streamlined billing process. We work with Round Table Medical Billing for our emergency room billing services. When you are experiencing a medical emergency, the last thing you need to do is to get frustrated with the insurance and billing process at the emergency room. Our medical billing staff will work closely with you so that you are completely satisfied with every aspect of your experience with us, including the billing procedure. Once the insurance company has finalized your claim, you will receive two bills. One bill will be from Round Table Physicians Group, PLLC and will cover the cost of seeing one of our physicians during your visit. The other bill will cover any lab fees, scans and facility charges, and it will be from Emergency Center, PLLC. We accept most insurance plans, including Workers’ Compensation. However, we do not participate in the regular (traditional) Medicare/Medicaid Programs or military TriCare. We want to make sure that you are completely satisfied with our services from the moment you reach out to us for help, to all the way through the billing process. That is why we made it as easy as possible for you to pay your bills. We accept most insurance plans and most major credit cards and we offer a hardship program that will allow you to pay your bill in installments. If you have questions about your bill, please call us at (832) 699-3777 or email info@roundtmc.com. At SignatureCare Emergency Center, our top priority is your health and we are dedicated to helping you feel your best. If you have any questions or concerns about your visit, please feel free to contact us.